1 in 26 Americans will develop epilepsy in their lifetime - WILL YOU WALK FOR ONE? Will you walk for one? 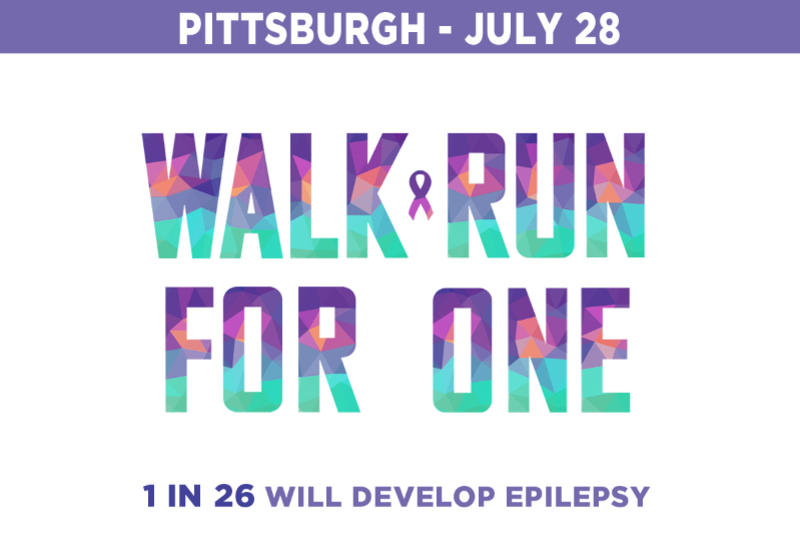 This summer, more than 2,500 people throughout Pennsylvania will join Epilepsy Western/Central Pennsylvania (EFWCP) for run/walk events in Pittsburgh, Harrisburg, Johnstown, and Erie. Money raised at these events support your friends and neighbors who are living with epilepsy and seizures. Join us on Saturday, July 28th at PNC Park for the 30th Annual Pittsburgh Family Fun Run/Walk. The 5k run/2 mile walk course starts at PNC Park, circles Heinz Field, and follows the picturesque Three Rivers Heritage Trail back to Federal Street. After the run/walk, participants are invited to a one-of-a-kind tailgate party on the Roberto Clemente Bridge. All participants can earn incentive prizes based on the amount they raise! If you would like to register for the Harrisburg Senators Family Fun Run/Walk for Epilepsy, please visit www.givegab.com/campaigns/epilepsy-walk-harrisburg!